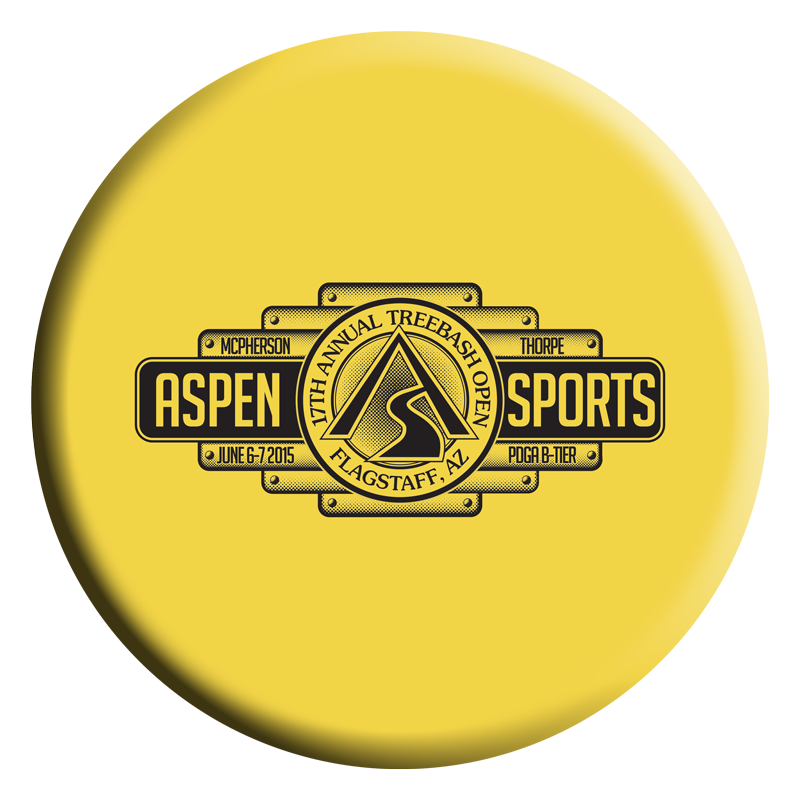 For the 2015 Aspen Sports Treebash Open disc golf tournament, I wanted to create a design that was clean, iconic, and featred the logo of the title sponsor, Aspen Sports. I took ideas from Route 66 signs with long horizontal plates and rounded corners. The art was stamped on hundreds of discs and dri-fit shirts.